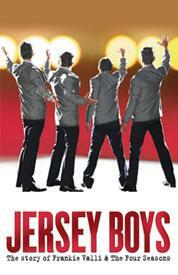 I wanted to see the Jersey Boys theater performance. It is the story about Rock and Roll Hall of Famers The Four Seasons, and how they came to be one of the greatest successes in pop music history. The show is playing the month of December here in Palm Beach County. I was surfing the Kravis Center web schedule and seating chart when I realized I should have purchased the tickets long before this search, as the seats were not very good. Then much to my surprise I found some great seats available. I checked the price of the tickets, the date, and ran to get my credit card. I was feeling quite smug with myself thinking somehow we had lucked in to great seats. Several days later my tickets arrived in the mail. I didn’t even look at them right away and stashed them in the drawer. When I finally got around to looking at the tickets I realized why these great seats were available. The performance was on a Thursday afternoon at 2:00 P.M., a work day, oops, the tickets are non-refundable, double oops. Well, here is the rest of the story. The day before the Jersey Boys production was to be introduced to patrons of the Kravis Center the local stage hands union went on strike. They had tried in vain to get a new contract at the theater for many years. The Jersey Boys stage hands would not cross the picket line to set up for a three week engagement so shows were canceled. The good news is the contract dispute was satisfied before our performance was scheduled. The great news is the show was wonderful. I didn’t know the story about Frankie Valli and the 4 Seasons. What the performance brought up for me was visions of my parents dancing around our kitchen cheek to cheek when I was a kid in Connecticut. I would watch and we would all sing together. What a magical time. The history behind “Big Girls Don’t Cry, Walk Like a Man, Sherry, Rag Doll, Bye Bye Baby, C’mon Marianne, and Earth Angel” to name a few is all fun and great to sing to. Reminders of an easier more innocent time for me not the boys from New Jersey. If you get the opportunity to see the production and you remember those songs it will be a musical treat down memory lane.